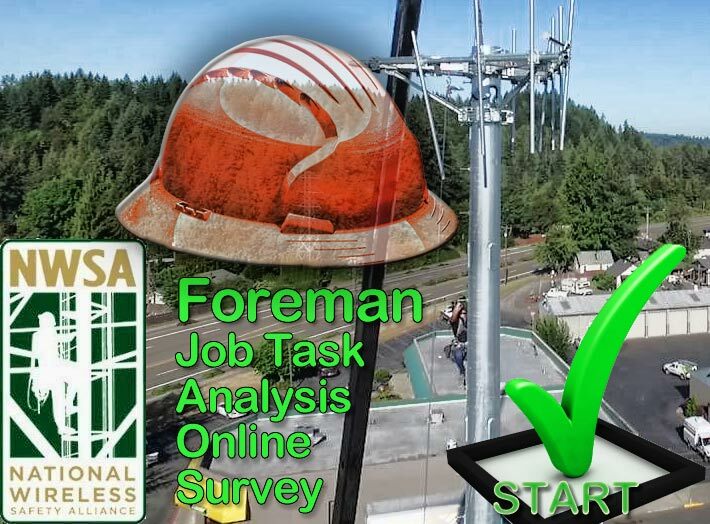 The National Wireless Safety Alliance (NWSA) is reaching out to the industry’s thousands of tower foremen to complete a survey to provide their valuable input to ensure the new NWSA Certified Foreman Examination accurately reflects today’s work environment, regulations, and technology. This new certification for the telecommunications Industry will define a set of criteria to verify that candidates have achieved a measured level of knowledge which industry subject matter experts consider important for a certified individual to possess. “Your opinions and participation as an industry representative in the process, are vital to this effort,” said NWSA Executive Director Duane MacEntee . The survey should be completed no later than June 25. 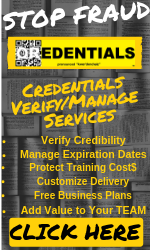 It is NWSA’s mission to provide thorough, independent assessments of knowledge and skills and provide verifiable worker certification to enhance safety, reduce workplace risk, improve quality, encourage, and recognize the skilled professionals who work on towers and other non-standard structures. The NWSA currently has two programs for Telecommunications Tower Technician certifications which some employers indicate are either preferred or required in their job postings. As a continuation of its mission, NWSA is now in the process of developing an Antenna and Line Specialty and a Foreman Certification. The NWSA is also encouraging industry employers, trainers and workers to register here to participate in the organization’s upcoming free webinar on Wed., June 27 at 11:00 a.m. EDT to learn how to set up an NWSA Practical Test Site. NWSA Practical Exam Accreditation Program Instructor Clint Cook will walk attendees through the most important elements of the Test Site Coordinator Handbook and provide some of the best lessons learned from NWSA’s seasoned workshop instructor. This webinar will set you up for success and ensure candidates testing at your test site will have the best experience possible for their practical exams. How to be prepared for your first round of candidates.